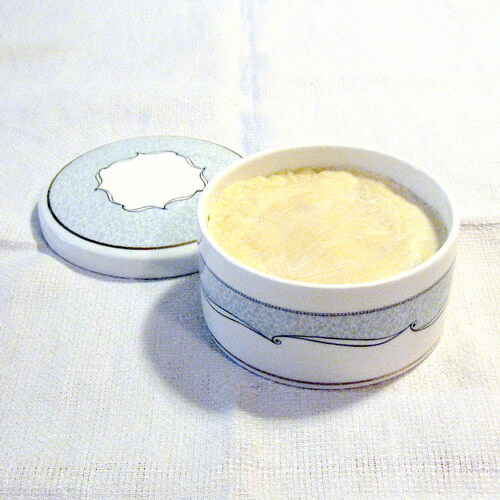 Woods of Windsor shaving soap (vintage) in a Wedgwood bowl. A brief side story: just before WWII, when the two Wedgwood brothers flipped a coin to see which of them would inherit the mantle of running the family fine china business, the one who lost the coin flip came to American, where he was one of my father's roommates at Harvard. Subsequently he became a doctor and a leading researcher in pediatric immunology. When I decided at age 32 to return to college to become a doctor, I worked part-time in Dr. Wedgwood's lab while doing premed studies, and when I eventually became a pediatric immunologist myself, he was one of my mentors. The soap is a very fine one, with excellent lather and wonderful skin care. 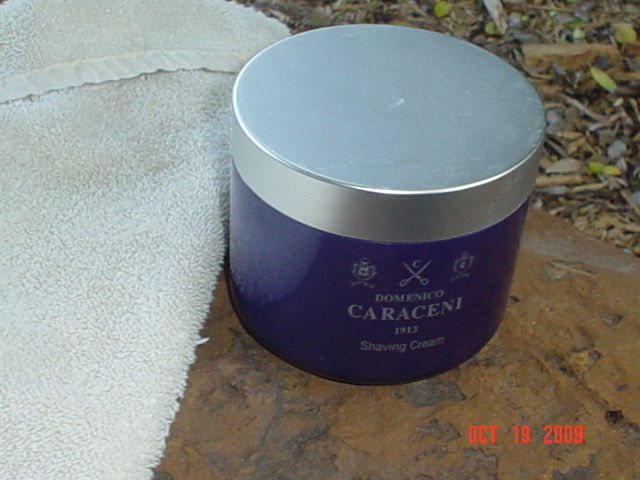 Following the passage of the XPEC yesterday, I moved on to the predecessor to XPEC --- Domenico Caraceni 1013 shaving cream, Italian made, of course. Great stuff. My first shave using the Cyril Salter's French Vetiver shaving cream. All of the positive things that have been posted about Salter's is accurate. It's a very fine shaving cream. Terrific story, John! Thank you for sharing that bit of history with us. What a cool connection your daily shaves. D.R. Harris Rose shaving cream, for only the second time, ever. The scent! The lather! Oh, my. So intoxicating. I definitely have to get the 'Pink' aftershave milk. This is a very nice shaving cream. I have had the tub for at least two years and it has not dried at all. Unusual that it has stayed soft all this time. Morning Ghost tallow shaving soap by Cold River Soap Works (CRSW). Today's shaving soap was one of Tim's hand crafted custom soaps. Flawless!